When Nokia decided to go with the Windows Phone from Microsoft on an exclusive basis some years back, I am quite sure that there were a few folks out there who decided that the Finnish smartphone company (which has since been purchased by Microsoft) would meet its demise pretty quickly, considering what a behemoth iOS and Android were (and still are today) back then, not to mention BlackBerry in a pretty good shape then, too. Well, fortune has favored the Windows Phone platform, where it has overtaken BlackBerry in many markets now, and Nokia’s still at it with a growing reputation for their Windows Phone handsets. Their latest model to be revealed? 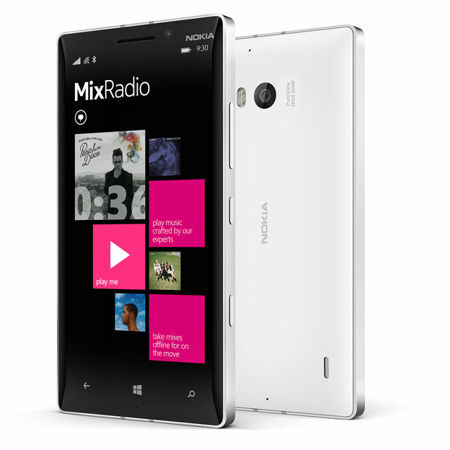 The Nokia Lumia 930. The Nokia Lumia 930 is said to blend the best of Microsoft and Lumia beautifully with a collection of features that have been incorporated in order to meet the needs of today’s forward-thinking smartphone owner. For starters, you will find that the 20-megapixel PureView camera which features optical image stabilization (OIS) and ZEISS optics are able to deliver pin-sharp shots and the flexibility to zoom into any shot right after you’ve taken it, while a front-facing HD 1.2 MP wide-angle camera would pave the way for great looking selfies, even if there is a bunch of you there. A quartet of high performance microphones would also be able to make sure that your videos would sound great as though the viewer is there watching it live, while surround sound capture allows one to hear the world around you like never before. Integrated OIS would be able to counteract the shaky hand syndrome, and your eyes will not be disappointed by the 5” 1080p Full HD display (at 1920×1080 resolution and 441ppi) with Gorilla Glass 3, Super Sensitive Touch and a near 180-degree viewing angle. Underneath the hood, you will find a speedy 2.2 GHz quad-core Qualcomm Snapdragon 800 processor, 32GB of internal memory (with 7GB of free OneDrive cloud storage) and 2GB RAM, ensuring that slowness in speed will not be an issue at all. The Nokia Lumia 930 will retail for $599 a pop as it arrives this June worldwide.